Downtown location, in the heart of the cultural and artistic life of Florence , close by the Church of Santa Croce and the Bargello Museum, facing the Verdi Theatre. 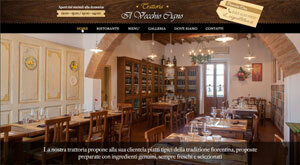 It is part of an historic Florentine building although set with all modern comforts of a new restaurant. All customers are welcome, specially the more discerning travellers. We are pleased to meet all quality requirements and serve typical and tasty Tuscan food. Delicious meat and fish courses and classic wood-fired oven baked pizza! We propose typical local food prepared by using fresh Tuscan ingredients. Group and tourist menus are available. Max number of seats available is 110 split in two adjoining rooms. We look forward to welcoming you to the Restaurant Il Teatro where our smiling and courteous Staff will be pleased to fulfil all your requirements!